Panic disorder is psychological disorder characterized by sudden episodes of intense fear and anxiety, accompanied by severe physical symptoms that may include heart palpitations, shaking, difficulty breathing, and generalized anxiety. Although triggers for an attack vary by individual, a traumatic event often triggers them. Triggers may include a particular scent, sound, or setting, such as a hospital. Some people experience recurring attacks with no apparent provocation. Panic disorder affects about 3% of Americans every year. However, nearly 5% will suffer a panic attack at some point in their lives. More women suffer from the disorder than men, and onset is usually in early adulthood. Although researchers have identified no single cause of panic disorders, they have a number of theories. Genetics appears to play at least a partial role, since having a family member with the disorder increases one’s own likelihood of developing the disorder. A traumatic event, such as being robbed or surviving a natural disaster, can also lead to panic disorder. Some researchers have correlated panic disorder with a condition called anxiety sensitivity. With this disorder, sufferers mistake fear reactions with more serious physical ailments. For example, a person with fear-induced heart palpitations might mistake them for a heart attack. Substance abuse can exacerbate panic attacks. Tobacco, for instance, affect the respiratory system, and caffeine may increase heart rate. Panic attacks are also a known withdrawal symptom of alcohol and benzodiazepines. What are symptoms of panic disorder? During a panic attack, individuals may also experience a fear of losing control or even fear of dying. Some researchers have theorized a biological cause for panic disorders. While evidence is inconclusive, most studies suggest that an overactive amygdala is partly to blame. PTSD is triggered by experiencing or witnessing a traumatic event, such as combat or a car accident. Symptoms may include uncontrollable rumination about the event, vivid flashbacks, and nightmares. Panic attacks may also be a symptom of PTSD. GAD is characterized by persistent, excessive fear or anxiety about everyday life events, to a point of interfering with relationships and responsibilities. Individuals with GAD often also suffer from panic disorder or obsessive-compulsive disorder. Panic disorders are also common with phobias, or anxiety disorders associated with fear. A key difference between phobias, such as claustrophobia (fear of small spaces), acrophobia (fear of heights), or mysophobia (fear of germs), as opposed to a general fear or dislike of certain situations, is that people with a phobia will actively avoid their fear in a way that interferes with everyday life. Psychotherapy and behavioral therapy are the most common treatments for panic disorders. 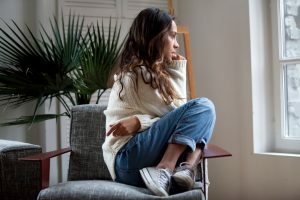 Cognitive behavioral therapy (CBT), a core modality of treatment at Sprout Health Group, has been proven to be the most successful method for treating clients with panic disorders and other anxiety disorders. CBT helps clients develop practical strategies for managing panic attacks and other stressful situations, while helping them better understand and process their triggers. Other forms of psychotherapy, or “talk therapy,” can help as well. Sometimes medication is used to assist behavioral therapies. Benzodiazepines (benzos), such as Xanax, are the most popular. However, it is important to follow your doctor’s instructions carefully when using medication to treat panic disorders. Medication is only meant to manage short-term symptoms and is not an effective long-term treatment for panic disorders. Drugs commonly prescribed for short-term relief of panic disorder symptoms can be highly addictive, leading to physical dependency and risk of abuse. Benzodiazepines are particularly susceptible to misuse and may lead to dangerous withdrawal symptoms, including hallucinations, seizures and increased risk of suicide. Panic attacks are also a symptom of withdrawal. Because of these serious risks, individuals who suffer from addiction to benzos should only attempt detox under the supervision of a medical professional. If you or a loved one suffers suffer from panic disorders, know that you are not alone. Many people who suffer from panic disorder never seek treatment out of embarrassment or a belief that their symptoms are not serious enough to seek help. Through professional guidance and therapy, it is possible to learn how to manage the symptoms of panic attacks and reduce their impact on your life. If you have developed a dependency on medication prescribed for your panic disorder, you are not alone, either. Call us to discover treatment options near you. Someone suffering from adjustment disorder may experience trouble sleeping, a lack of appetite, constant worry, frequent crying, feelings of hopelessness, difficulty concentrating, overwhelm, withdrawal from family or friends, avoidance of important obligations and even suicidal behavior or thoughts. 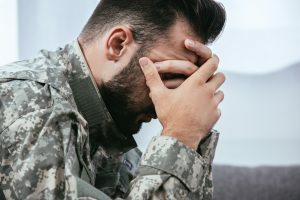 Post-traumatic stress disorder (PTSD) is a psychiatric disorder that develops in certain individuals who have experienced a traumatic event. The event may be shocking, frightening, violent, or related to a sense of loss, such as the unexpected death of a loved one. The problem with anxious thoughts begins when they cannot be put aside after stressful or dangerous situations. Experiencing dread without cause is a clear sign of anxiety. Our supportive team is ready to help you. Sprout Health Group operates inpatient and outpatient treatment facilities that specialize in the care of individuals afflicted by addiction and/or mental health disorders. Our comprehensive assessments create specialized treatment plans, to help those in need in a tailored and personal way. Stay educated. Get our newsletter.